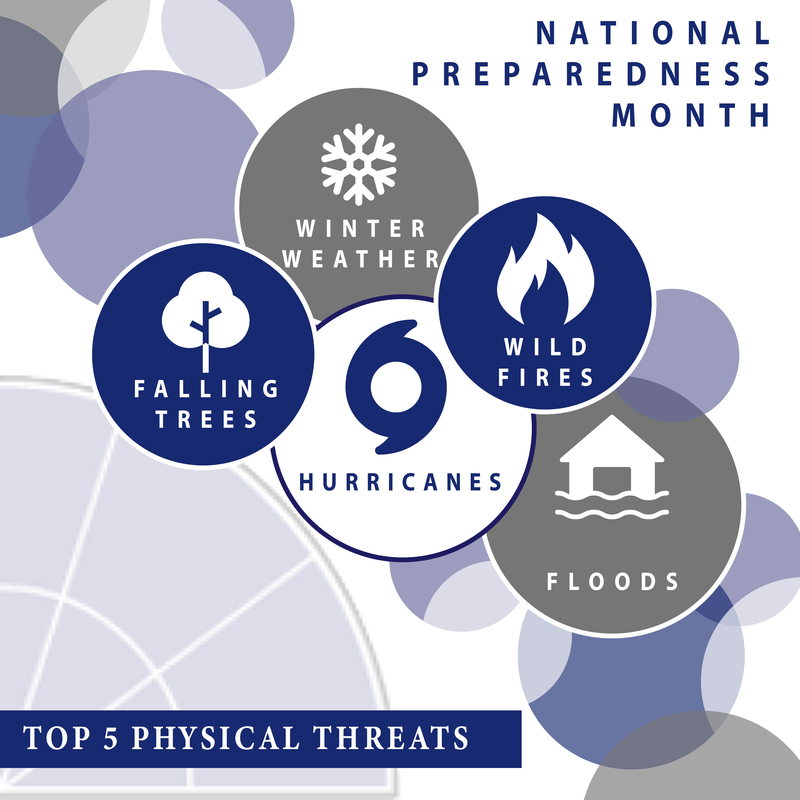 This month is National Preparedness Month, an initiative by the Ready Campaign, which is “designed to educate and empower the American people to prepare for, respond to and mitigate emergencies.” Each week highlights a different, important element of disaster preparedness. This first week is ‘Make and Practice Your Plan.’ In case of a natural disaster or emergency, it is imperative that you have a plan for how to deal with it, whether you’re a homeowner, a business owner, or both. According to the National Flood Insurance Program (NFIP), ninety percent of all natural disasters in the United States involve flooding (source) and, because flooding affects every region of the country—even low-risk areas—many people are not prepared. Most standard homeowners or commercial property insurance policies do not cover flooding. Instead, separate coverage is available from the NFIP and some private insurers. • Hire a licensed plumber to install a sewer backflow valve. Flooding can sometimes cause sewage to leak back into drain pipes. Backflow valves will make sure sewage leaves your home or business, but does not come back in. • Move any furniture and electronics on lower levels of your home and business to upstairs. • Cover any doors (including garage doors) with watertight barriers that rise at least 12 inches above the expected flood line. • You can find more resources on how to prepare for a flood here and here. Winter weather can be magical… until it makes your roof collapse. One in every 50 insured homes has a claim related to water damage or freezing every year, according to the Insurance Information Institute (source). It is important to prepare for snow, ice, hail and wind before the cold weather hits. Most standard homeowner’s insurance policies will cover physical damages from hail and ice, as well as roof collapses from ice and snow. Frozen, leaking, or burst pipes may also be covered, as long as the damage is not due to negligence. 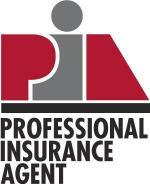 Similar coverage exists for businesses with commercial property insurance. Just as with flooding, preemptive protection measures will keep you and your home or business safest. Before cold weather, cover pipes prone to bursting (those exposed to cold air) with insulation sleeves or wrapping. Additionally, clear your gutters so melting snow and ice can flow freely. When snow or ice does hit, do not let too much build up on your roof. To safely remove snow, use a snow rake with a long extension arm that will allow you to stay on the ground, or hire a professional. Last year’s hurricanes made constant headlines because of the massive destruction they caused. Now that we’re in the middle of hurricane season again, being prepared is critical. Even if your home or business is outside of the Hurricane risk-area, heavy rain and winds can still cause significant damage. While wind damage is covered by a standard homeowners or commercial property insurance policy, flood damage is not, and requires the purchase of separate flood insurance, as mentioned earlier under ‘Floods.’ You can find out more information about coverage here. There are several simple ways to make sure your home or business is protected from the risks associated with hurricane season. Before the season even starts, mount the hardware you need to put up shutters or plywood. That way, when a storm hits, shutter installation will be easier and quicker. Also, inspect your roof for any holes, tears or loose shingles. Your roof is your first line of defense against a storm, so ensuring that it is in good shape is key. If a storm is coming your way, make sure that any loose items, such as trash bins and lawn furniture are stowed away. As more people move into forested areas, and as global temperatures continue to rise, the risk of wildfires increases. Researchers at Harvard have concluded that the number of wildfires across the U.S. will double by 2050. While most wildfires occur in the Western parts of the U.S., protecting your home or business from fire, wild or not, is a smart move. Again, most standard homeowners or commercial property insurance policies will cover damage from fire, including damage from wildfire. Additionally, these policies will typically cover damaged belongings and any additional living expenses associated with an unlivable home (hotels, meals, etc). For businesses, consider investing in a business interruption policy, which will cover any profits you would have earned normally. According to the Insurance Institute for Business and Home Safety, most people associate wildfire damage with direct flame contact from the wildfire as it burns past the building. However, buildings can also be damaged when exposed to burning embers or even heat. The roof, one of the larger parts of a building, is especially vulnerable to burning embers. Ensure that your roof covering is fire rated—Class A roofs are the highest rated and are specifically recommended for high risk areas, whereas Class C roofs are rated lowest. Unless your roof is covered with wood shake, it is probably at least Class C rated. Other measures to protect your home or business from a fire include covering vents with mesh and investing in dual-paned windows and noncombustible siding materials. While trees can certainly fall of their own accord, more often than not, they fall because of the four preceding physical threats (or others). As such, mitigating the risk of falling trees is yet another way to prepare your home or business for any disaster you might face. If a tree falls and does not hit anything, removal will not be covered by a standard homeowner’s or commercial property insurance policy. However, if it does hit your home or business, the damage, as well as removal of the tree, will be covered by your policy. If a neighbor’s tree falls on your home or business, your policy will also cover it, though your insurance company might go after your neighbor’s insurer to cover its costs, and vice versa. More information here. To mitigate the risk of fallen trees or tree limbs, make sure to prune dead limbs or branches that hang over your house or business. Additionally, check for diseases that might weaken the tree and cause it to fall. Again, the best time to prevent tree damage is well before a disaster strikes, so check trees on your property regularly for signs of weakness. What kind of risks could affect you? Whether or not these physical threats will affect you typically depends on where you live. This is easy to check. The map at the bottom of this page will give you an idea of which risks you face and cards below provide more information on how to mitigate them. You should also look at the history of disasters in your area—have there been a lot of hurricanes in the past 10 years? If so, make sure you have the right insurance and prepare your home or business accordingly. Finally, it is important to make sure that you can afford any damages that may occur because of physical threats to your home or business. Natural disasters cause hundreds of billions of dollars of damage each year and, for home or business owners who must rebuild after disasters, the burden can be financially devastating. Insurance can significantly reduce the financial strain in the aftermath of a natural disaster and is one of the best ways to prepare for one. Navigating all of the options for different policies can be overwhelming, but Georgetown Insurance Service’s caring, responsive professionals will help you find the right policies to protect your home or business from whatever might come your way.